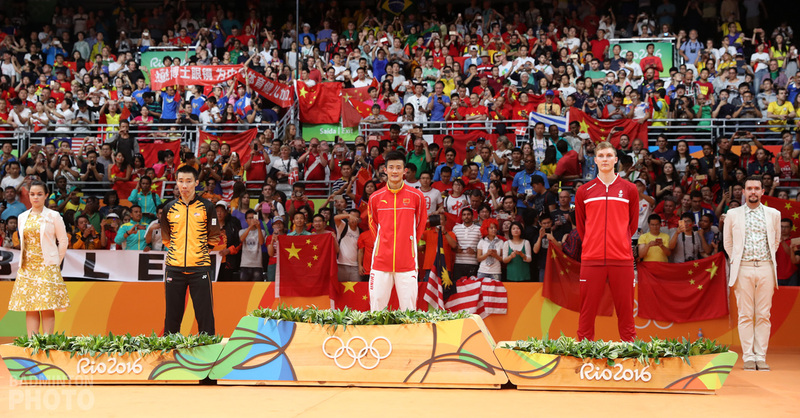 It’s a famous victory for China’s Chen Long at Rio 2016 and the immediate reaction upon defeat from sentimental favourite Lee Chong Wei was one of non-surprise. On badminton’s tenth and last day of action at RioCentro Pavilion 4, only the outcomes in the men’s singles field remained. The gold medal final wasn’t amazing by any stretch of the imagination as it showcased neither virtuosity nor innovation and was a slog for both men. 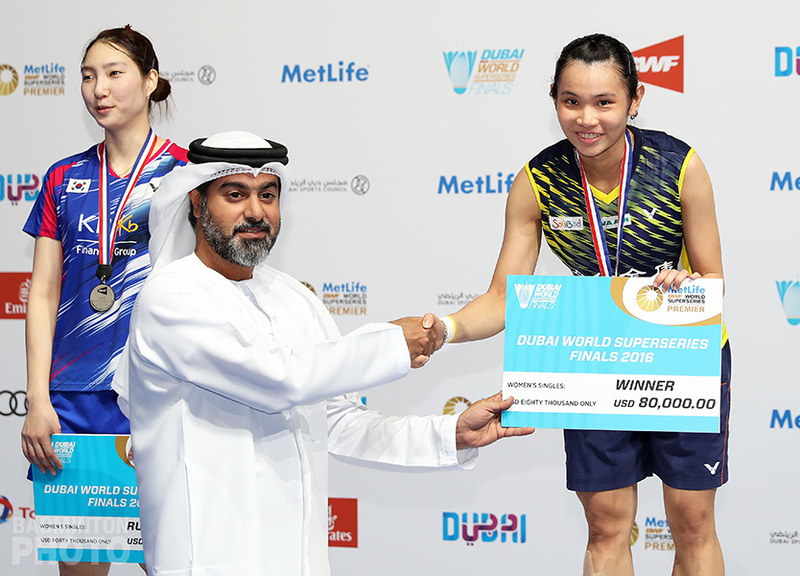 In that sense, it was very much a thriller between two out-of-tune players (as much as that can occur between two who are in form) which turned out China’s way 21-18, 21-18. After a terrible start, Malaysia’s Lee Chong Wei (pictured below) found himself with the lead in the early halves of both games and appeared joyless about it. He never shook off a self-conscious performance which quite likely wasn’t helped by an Atlas complex over the weight of expectations of both public as well as personal perception surrounding the fatefulness of reaching his third Olympic final (and overall seventh momentous final when counting World Championships too) without converting previous ones. 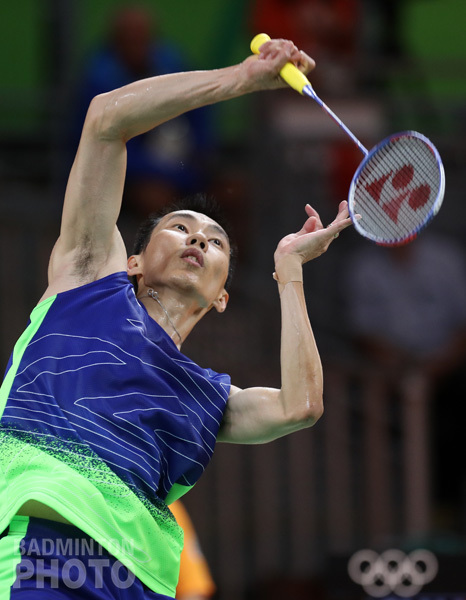 Five net shot unforced errors came off Lee’s racquet in the opening game as he squandered being up 13-9, and didn’t hold on at the critical stages of 16-15, 16-17, and 17-18. The painful lesson from the lost opportunity of London 2012 was that playing conservatively or not being proactive at such points didn’t deliver, so Lee did the opposite this time. But choosing to do so on net shots that were hardly even half opportunities was a ploy that backfired because it’s a skill requiring unadulterated concentration of which he wasn’t in reliable possession today. 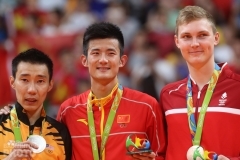 At the same time there emerged another pattern, one of tense responses to straight downward shots aimed down his forehand alley which Chen Long made note to take advantage of for cheap points, especially in the second game. The absence of spectacular defence was a major clue that Lee’s rhythm was without flow, which wasn’t the case in London four years earlier. 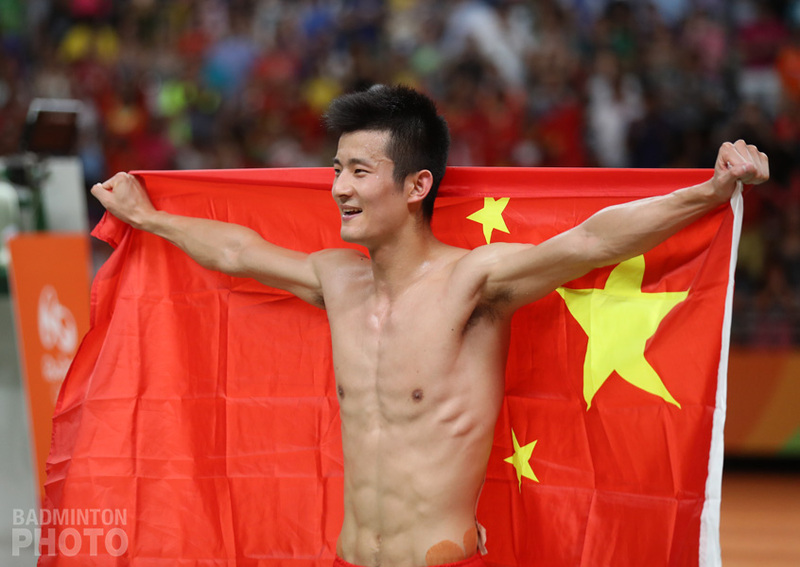 Like Carolina Marin, Chen Long (pictured below) has racked up nil Superseries victories so far this year. His honed patient play style was solid if relatively one-dimensional and becoming easily read by more and more of the men’s field. Despite his distracted state, Lee’s sporadic inventive play did poke holes in Chen’s straightforward repertoire. In summoning close to a hundred percent of his presently narrow form (not to be confused with full potential), Chen’s routine abilities, more by chance than design, were the ideal foil for the occasion of meeting an out-of-sorts adversary. On top of taking all the obvious opportunities, the five free points in game one were gifts that let him back into the match and much of the rest was waiting for Lee to unravel. 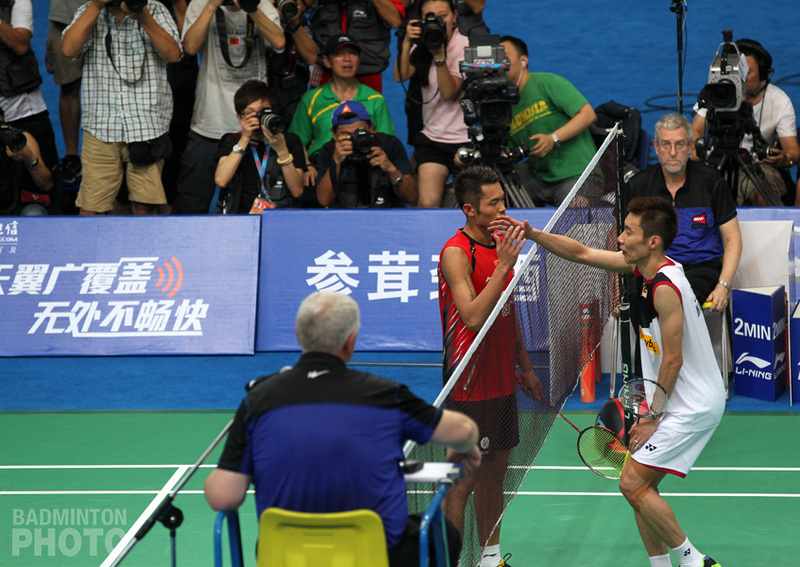 The best rally of the match belonged to Lee Chong Wei at 13-15 down in the second game. It was a thrillingly protracted affair in which spectators had become familiar with the particular shortcomings and capabilities of both men. 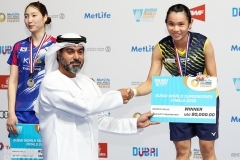 The Malaysian was shaky on defence and left to rely on uncharacteristically ordinary attacking prowess while totally reading his opponent, as opposed to the Chinese exuding calm and sensing the occasion. Lee’s cobbling together of miscellaneous remaining elements that were working showed how close in quality to Chen he can be in this crippled-by-expectation condition, but it was too hard to sustain. 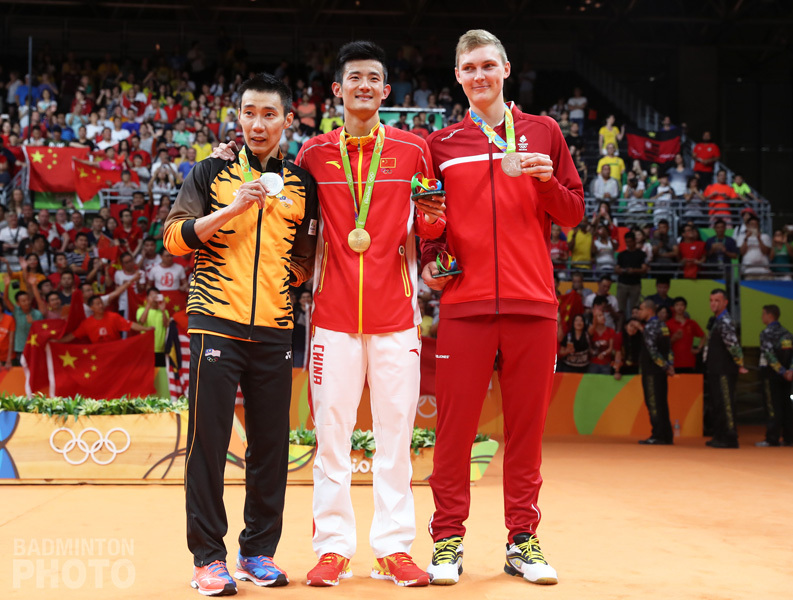 At 16-14, Chen Long smartly converted his own critical point with a straight drop shot down Lee’s forehand side and the writing was on the wall for Malaysia’s campaign. 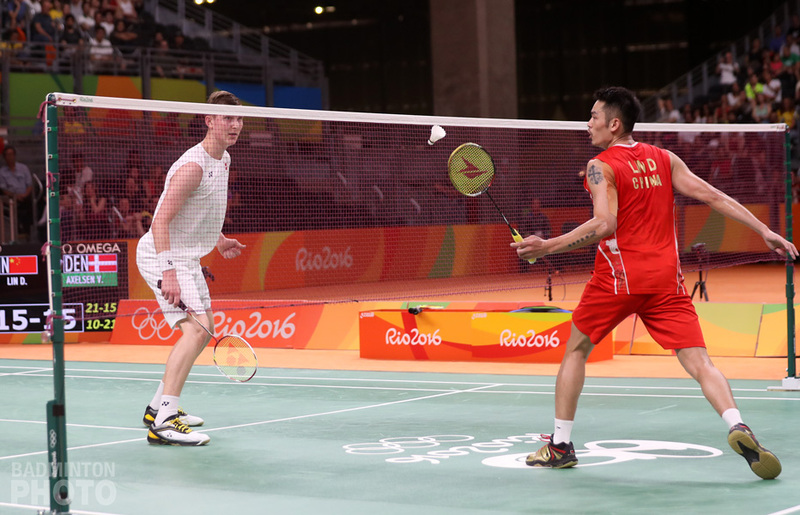 Badminton aficionados would have disappointed it wasn’t entertainment of the value of the April 2016 version of Lee versus the first half of 2015 version of Chen Long when each was untouchable. Viktor Axelsen was emotionally overcome upon trading up to an Olympic edition of his 2014 World Championship bronze medal after a long tussle against the defending Olympic champion Lin Dan (pictured right). 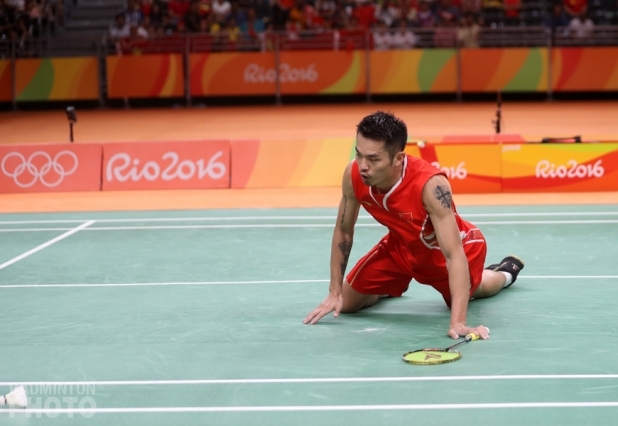 The bronze medal play-off was interesting for catching a glimpse of the good old (different from ‘old’) Lin Dan, resembling himself from around the turn of the decade, but you had to wait until 12-12 in the rubber for that. 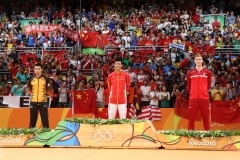 Of the four men, beautiful shot-making on the day was Lin Dan’s merit. 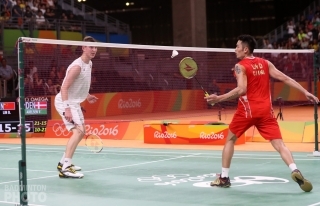 The Chinese star frequently caught the long limbs of Axelsen in a jam but was penalised when it came to poor elevation on his aerial shots. Axelsen, attitude-wise, wasn’t nervous about being one of the final four men and it bodes well that his skills still have much to grow into. 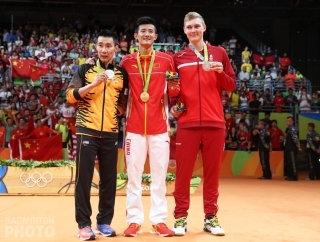 The young Dane took a leaf out of how Lin won the London Olympic final and flung a few unexpected one-off heavy shots in the last moments to throw off predictability within the rallies and it worked out nicely for a podium spot, as he prevailed 15-21, 21-10, 21-17. It is a big responsibility that when done right goes unnoticed but the umpiring in this match could do better to come up with a win-win in managing play. Before the third game interval, there was unawareness of the basic physiological demands of playing singles in that there simply is tremendous perspiration from one point to the next. Close-up replay footage of Lin rolling his racquet handle with liquid dripping off was plainly in view to everybody. It is in the rules to keep play continuous but is more useful to think of it as humanly continuous. The dissatisfaction with which Lin Dan (pictured bottom) threw away the last stroke of the second game most likely related to this significant aspect of the match.